If this furkid is yours (or you want to make her yours) please call the phone number indicated on this flier. Thanks! 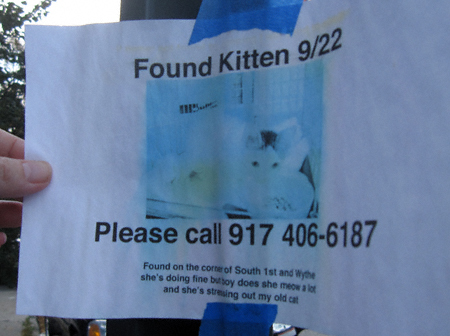 I’m sorry this kitten is lost (and am glad someone responsible took her in) but “she’s stressing out my old cat” is just a priceless line! Hilarious!